Welcome to the Newsroom Carlos! What can you tell us about yourself and the work you do? I’ve been making short films since I was 14. I love what I’m doing and I do it with passion. My love for art is what keeps me going. I’m as fascinated as frightened by the world I narrate. I’ve recently become a self-taught VFX artist, I’ve studied visual effects to be able to cover as many roles as possible inside of a movie production since I always try making new short films without the backing of sponsorship and with little to no budget. As a kid I wanted to be an astronaut, maybe a firefighter, perhaps a pilot… basically what every other kid wanted too! As teenager I thought about being a medic, or a policeman or even a lawyer: but then, a sudden flash of inspiration – I understood that none of those jobs would have fitted me, I liked all of them, but all in the same way, I realized I didn’t like the jobs themselves but rather, the way movies depict them. I understood that I would have been satisfied only by bringing to life all of these jobs, all of those ideas and thoughts, nothing would have fitted me more than the job that creates it all. The pleasure of leaving beautiful and strong memories inside of people’s hearts is the thing that makes me want to tell my stories. Being an artist is a duty to the soul. You’ve had quite a bit of experience in the past- what has been the most insane (or fun) project of your career? I had so many fun experiences in my career but surely the most insane was the most recent one: my fantasy short film “Shine” shot with only 550 euros. That required 6 months of work. 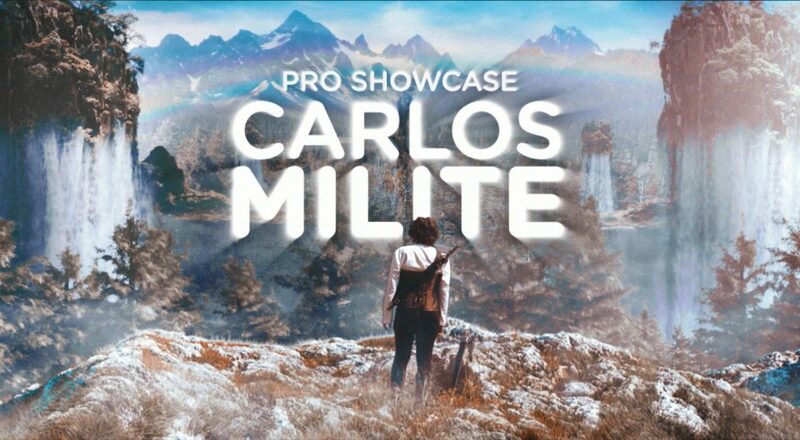 I obviously used many ProductionCrate assets including the wizard magic VFX and skull clouds, lots of dust and particle effects such as lighting, fire etc and even some mountains from GraphicsCrate for matte painting. 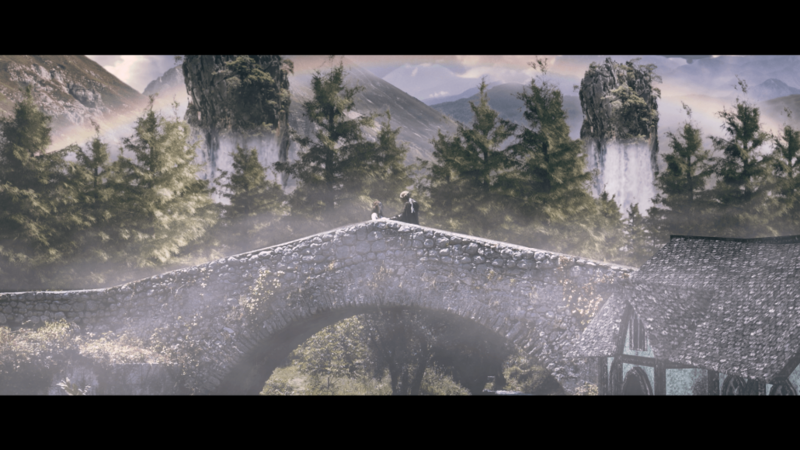 Matte painting is the thing I love to do the most. There are basically no productions in Italy that would be willing to support and provide a decently high budget for sci-fi or fantasy movies, so I decided to make this short film to prove that there are many young artists out there who are able to work and produce high-quality content with a budget as low as 550 euros. What software do you use most often in your projects? I like After Effects a lot and it’s so sad that the cinema industry doesn’t use it very often for compositing. How has ProductionCrate helped you in the past? Is there a favorite category you regularly visit? ProductionCrate was a great discovery. It totally changed my workflow and spurred me into improving myself. Actually, I’ve been improving my VFX skills only recently, it’s been around 10 months now since I’ve started getting some actually good results and it’s also thanks to ProductionCrate that inspired me to do great stuff especially on matte paintings. ProductionCrate’s assets opened my mind. I like the GraphicsCrate category, but to be honest I like pretty much all of them. If you had an unlimited budget and all the time in the world, what creative project would you embark on? Like I said before I’ve always had very little budget for all my project but what I realized is that I am ready to direct a movie from start to finish and if I really had an unlimited budget I would direct More that one movie but they would all be sci-fi, because I want to re-evaluate science-fiction in my country; for some of them I already have the basic concept down. Is there any advice you can give to VFX artists just starting there career? 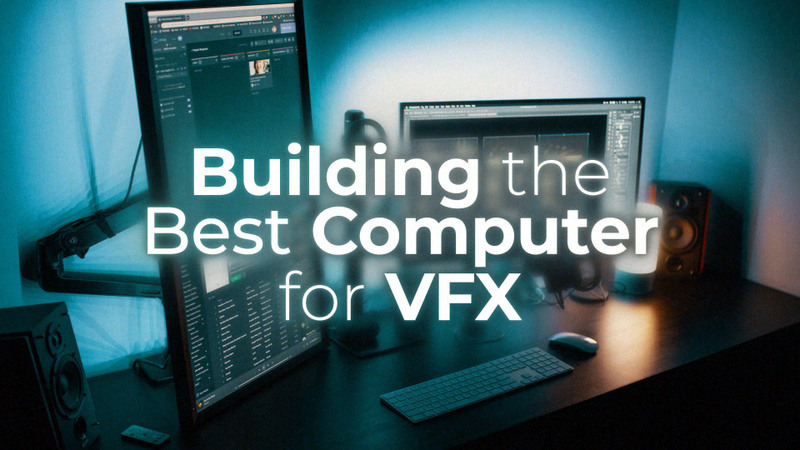 Many ask me where I’ve studied and how much time does it take to master VFX skills. Less than a year ago I knew close to nothing about advanced compositing and 3D. I started studying the works of VFX artists who were much better than me, through tutorials on youtube and I didn’t attend any VFX school; I was simply lucky enough to be born in the internet era. Only a year ago I didn’t even know the basic of camera tracking! 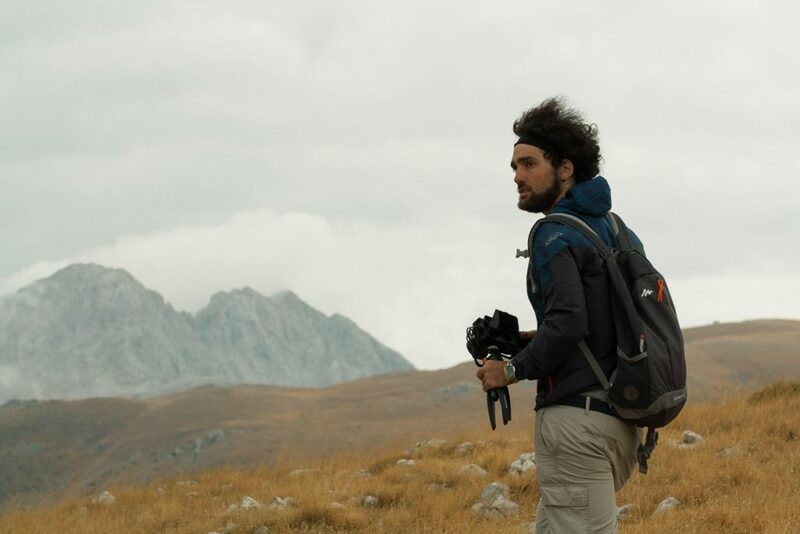 I spent days and nights practising, I was really close to losing my mind but in the end, I realized that the only way to improve oneself is to keep a curious and always very self-critical attitude. The advice I can give is to never give up even if everything seems difficult; study and apply what you have learned and don’t forget to use the program you are most comfortable with. I think that in VFX you never stop discovering new things so you should never stop; For all of this, a passionate willing is needed.